THE POPULAR SERIES NARCOS CAPTURES ONLY HALF THE TRUTH. HERE, AT LAST, IS THE FULL STORY. THE INTERNATIONAL BEST SELLER! Until now, we believed that everything had been said about the rise and fall of Pablo Escobar, the most infamous drug kingpin of all time, but these versions have always been told from the outside, never from the intimacy of his own home. 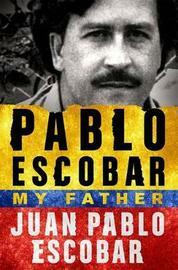 More than two decades after the full-fledged manhunt finally caught up with the king of cocaine, Juan Pablo Escobar travels to the past to reveal an unabridged version of his father--a man capable of committing the most extreme acts of cruelty while simultaneously professing infinite love for his family. This is not the story of a child seeking redemption for his father, but a shocking look at the consequences of violence and the overwhelming need for peace and forgiveness. 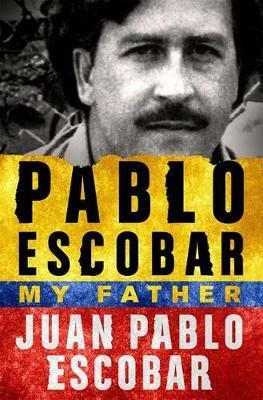 Son of the leader of the Medell n cartel, Pablo Escobar, JUAN PABLO ESCOBAR is an architect, lecturer, drug policy reform advocate, and writer. He was a subject of the award-winning documentary Sins of My Father and lives in Argentina.